Are you looking to own a business without having to take the risk of jumping into the unknown and building your own brand from scratch? If so, you're probably interested in franchising. Buying a franchise means you get the flexibility and freedom of being your own boss, while being able to trust in the demonstrated success of past franchisees who followed the same business model and sold the same product or service. Having the power of an established brand and the support of a franchise head office, while knowing other franchisees have been able to reach their goals of financial independence and becoming their own boss, makes franchising a reliable way to start a new business. But when it comes to choosing a franchise to buy, there are many options. How do you decide which one is right for you? Are you a go-getter? Are you able to be the driving force behind a business, with the determination and skills to not only launch a new business but build it through strategizing and networking? With a franchise, you’ll get a lot of help from the corporate office, but it will also be your job to build up your new business. Being your own boss has the perks of freedom and flexibility, but it requires determination and initiative. Are you ready to be the architect of your new future? If so, you’re ready to own your own business. There are many franchises available in many different business categories. Use Google to find franchise opportunities and sites like FranchiseGator, Franchise Opportunities, Entrepreneur, and others to find franchises sorted by category. Are you interested in an entertainment franchise? Want to work from home? These sites will provide a list of franchises that fit those types of criteria so that your new business fits in with your interests and lifestyle. Once you’ve chosen a franchise that intrigues you, look at websites or social media pages of other franchisees. How are those franchises doing? What can you learn from their page about how they’ve grown their business, and how can you apply that to your own franchise to increase your success? Is there anything you can see that they could do better, and how will you do better when you’re in charge? Viewing these pages will also strengthen your understanding of the franchise’s brand personality. A franchise disclosure document, or FDD, is a legal document that a franchisor must provide to you as a prospective franchisee, as per US law. It will provide you with all the necessary information you need to understand your obligations and the rules you and the franchisor will follow. Review this document so you understand how owning a franchise will work to a high level of detail. Once you get this far into the process – you’ve decided to embark on the entrepreneurial voyage, researched and chosen a franchise, checked out owners of that franchise on the web, and reviewed an FDD, it’s time to get the kind of expert advice that is beyond the scope of this blog. Retain the services of a lawyer or consultant who has experience working with franchise owners, and find out from them how to proceed with the next steps to reach your goal of running your own business with the support of a proven franchise brand. If you’re looking for a fun, flexible business, and for experienced franchise developers, talented marketers, and a sales call center to support the launch and growth of your own franchise, check us out at TapSnap. 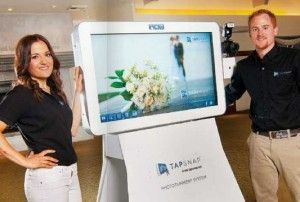 With over 140 franchises launched in just 2 years, TapSnap’s rapid growth across North America and internationally speaks to its appeal to those embarking on entrepreneurial paths.